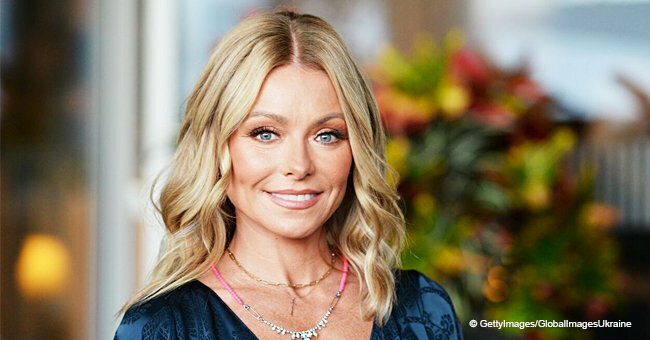 On Sunday evening in New York City Kelly Ripa’s daughter, Lola joined her mother at an annual event, and she looks gorgeous. Held at Manhattan’s American Museum of Natural History, the 12th Annual CNN Heroes: An All-Star Tribute drew many celebrities but the rare appearance of daughter Lola, already 17, called for some attention. The mother-daughter pair stunned on the red carpet as both appeared to be in high spirits. Lola looked gorgeous in a dark green dress with black heels and an anklet, while mum Kelly dazzled in a three-quarter-long black partially sequenced dress and matching black heels. Longtime friend, Anderson Cooper of CNN joined Lola and Kelly on the red carpet. 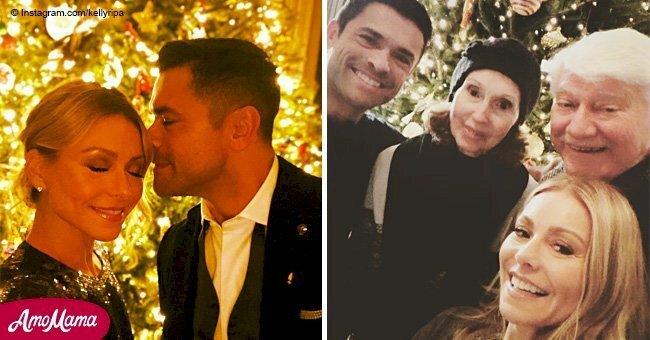 Kelly and handsome husband, Mark Consuelos also have to boys, 15-year-old Joaquin, and 21-year-old Michael. 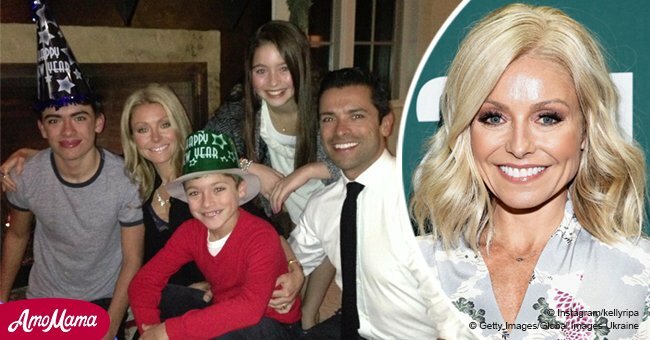 To Kelly, it feels like yesterday that her children were still little, as she posted some never seen before throwback pictures of her with her beautiful three children a few months ago. Kelly and Mark also recently congratulated their son Michael on getting a part in the hit series, ‘Riverdale,’ and traveled to Vancouver, Canada to visit Michael on set. Dad Mark also stars on the show as a mobster named Hiram Lodge, and in what seems to be the perfect match, Michael will play the same role as his dad, but a younger version of Hiram. On Tuesday Kelly shared their family's holiday greeting with the front of the card showing a picture of Mark with his 'Riversdale' family, Marisol Nichols, who plays his wife Hermione Lodge and Camilla Mendes, who plays the part of his daughter Veronica Lodge.